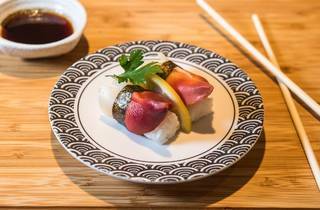 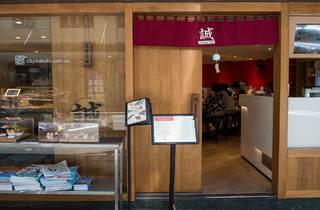 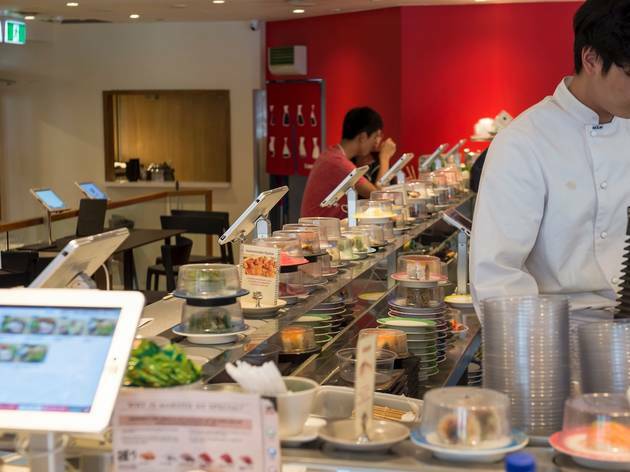 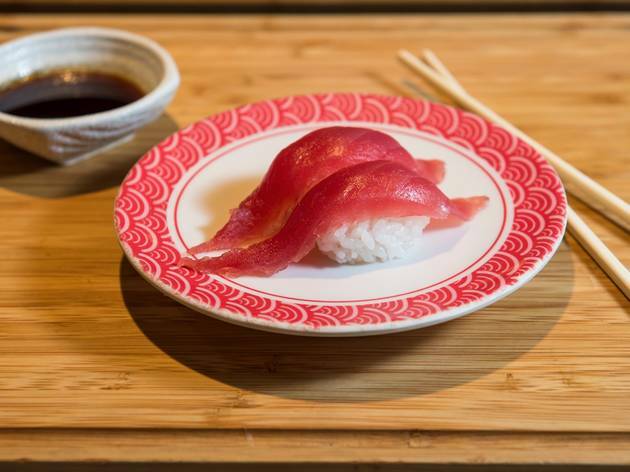 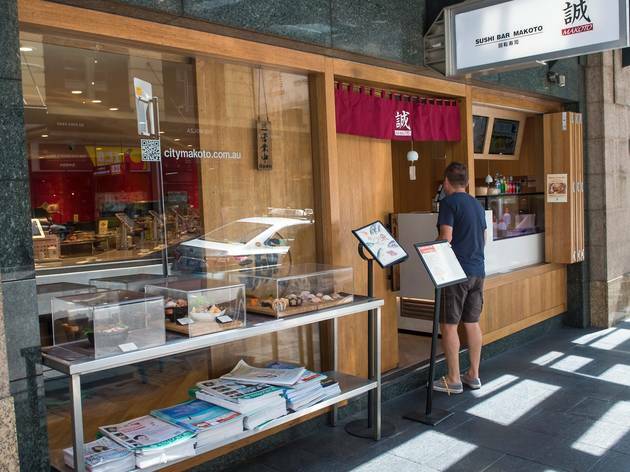 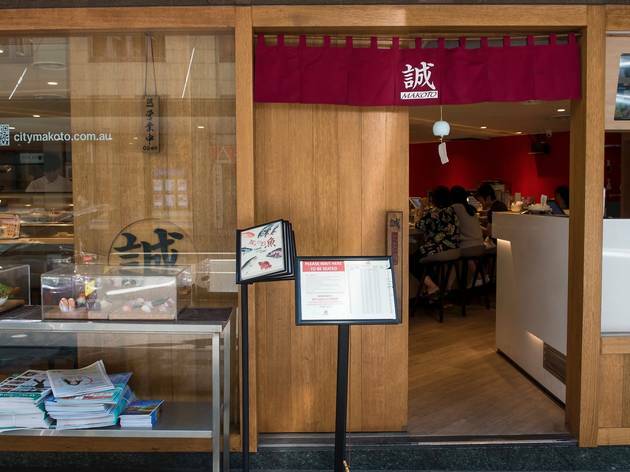 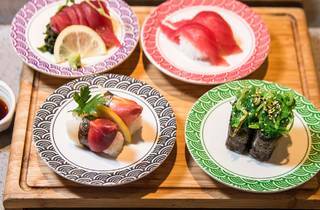 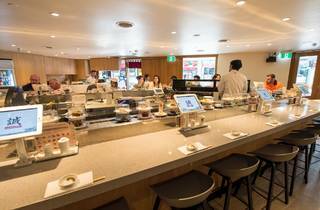 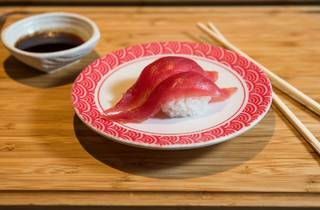 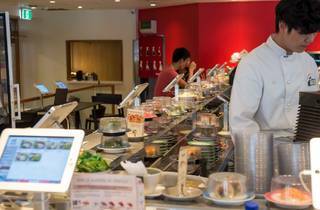 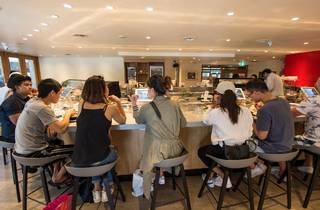 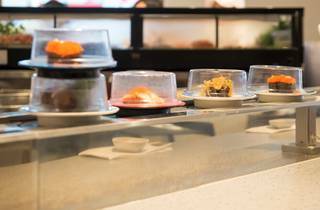 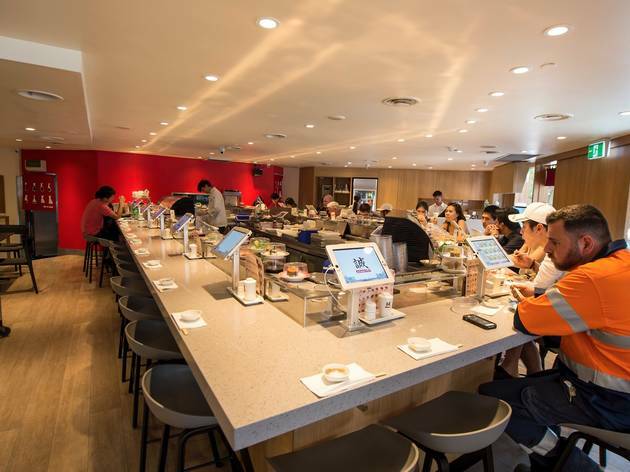 Sydney’s CBD might have the highest concentration of sushi trains in town, but quantity doesn’t equal quality. 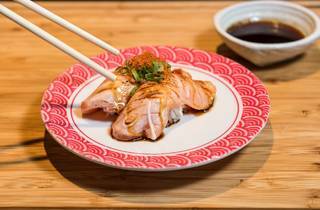 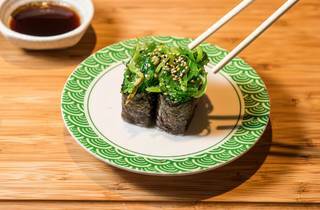 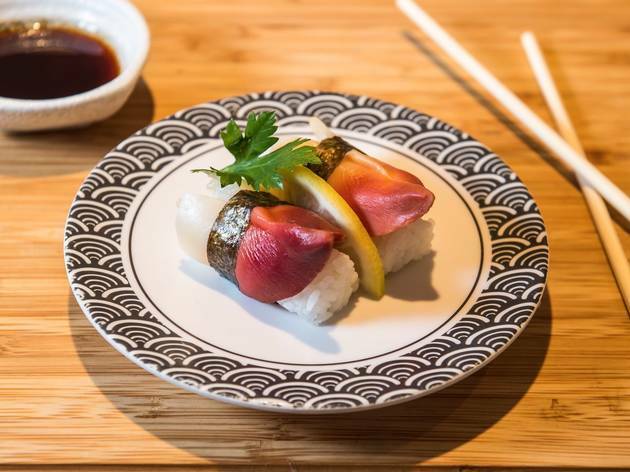 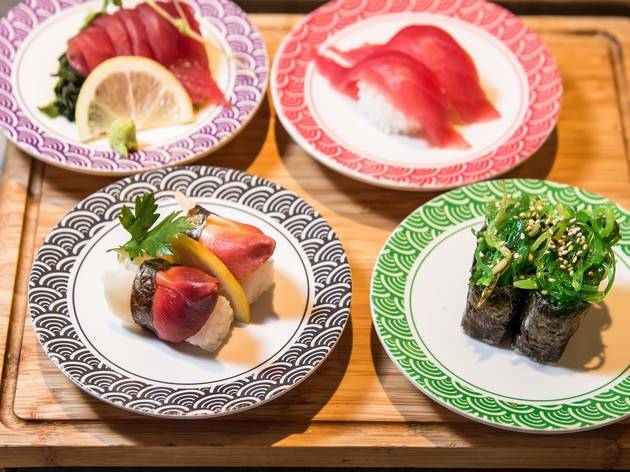 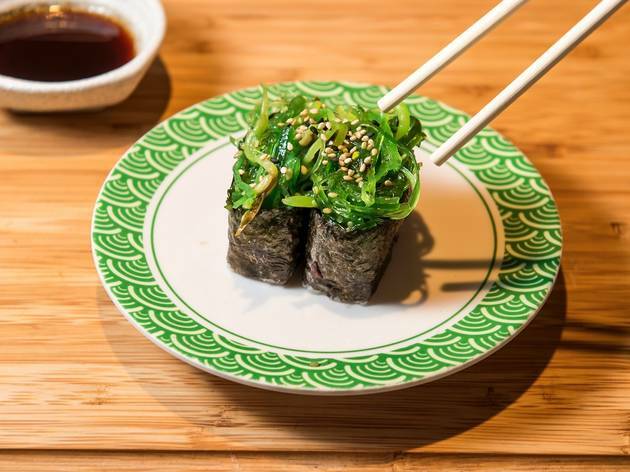 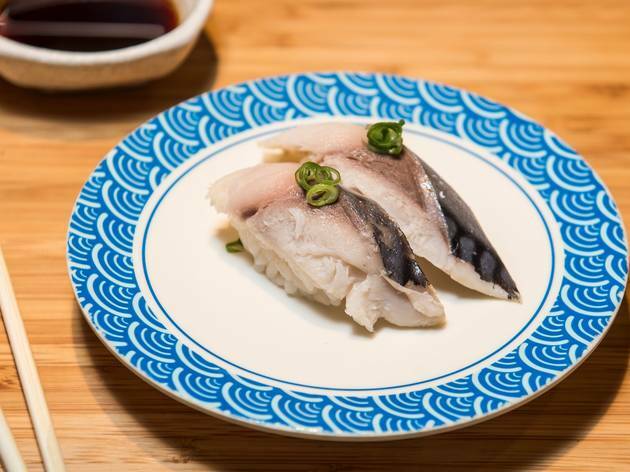 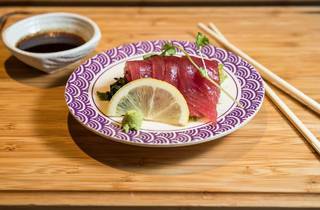 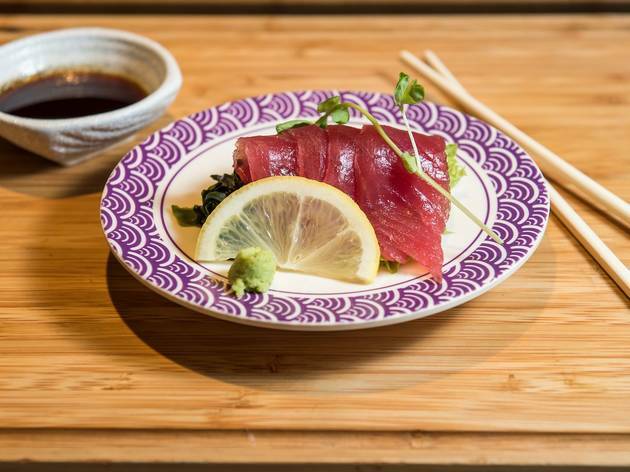 Choose wisely, starting with Haymarket’s OG Sushi Makoto. 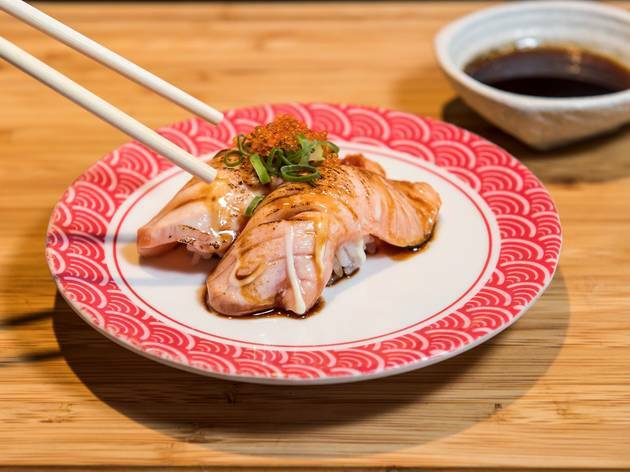 A recent facelift makes this place feel as fresh as its fish tastes (very). 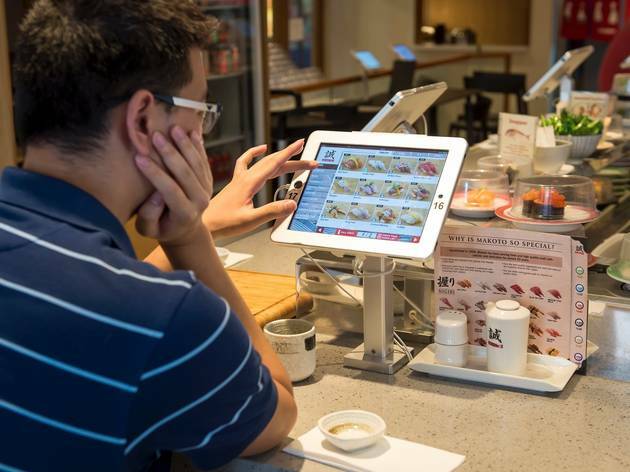 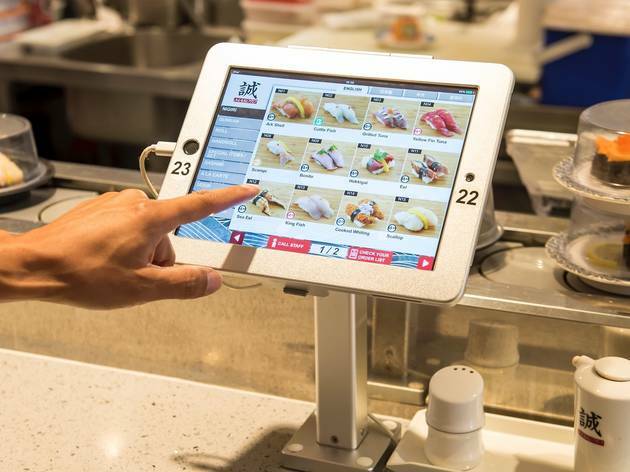 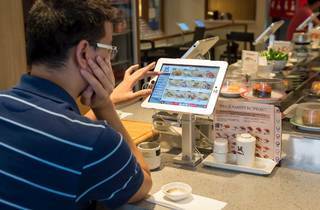 Ordering via tablet is a breeze, and drinks are delivered swiftly. 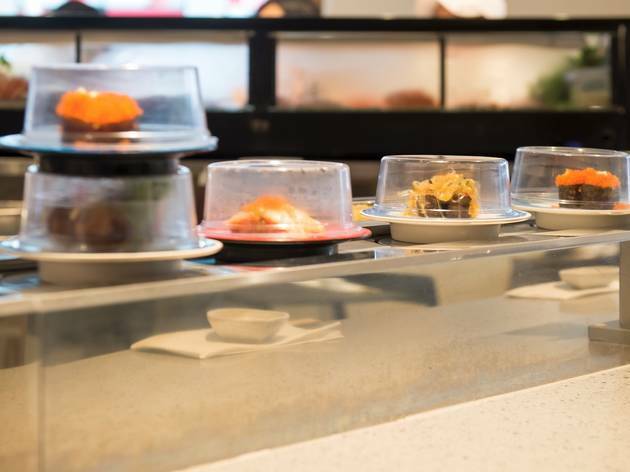 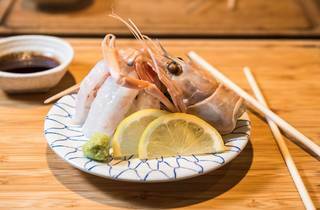 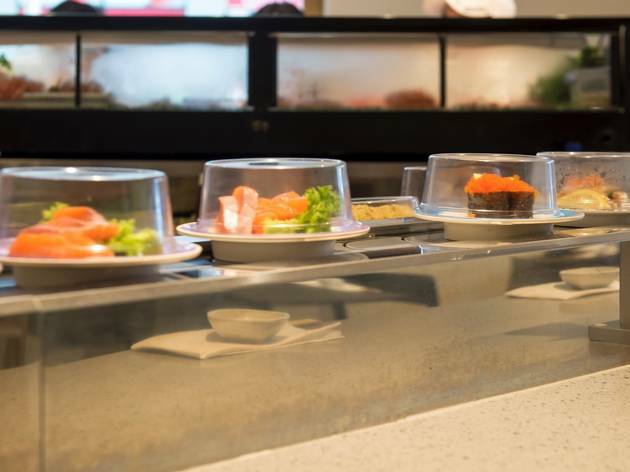 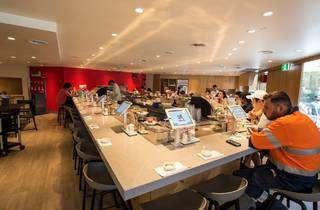 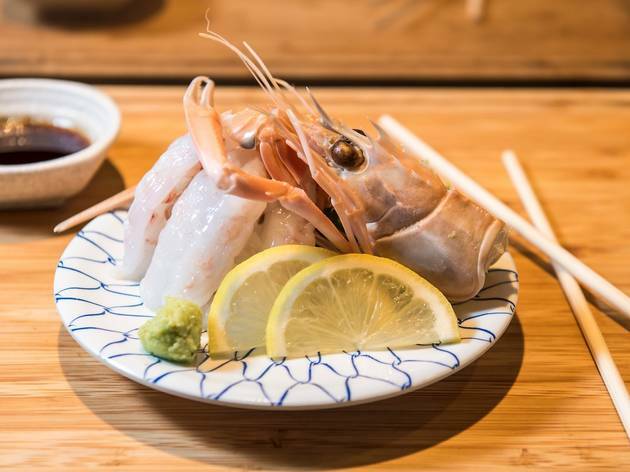 The conveyor carries endless interesting options (sweet shrimp, surf clam (hokkigai) nigiri), absent from lesser sushi trains, alongside well prepared usual suspects like tobiko ships, salmon sashimi, tuna nigiri, and seaweed salad, prepped in the encircled kitchen area. 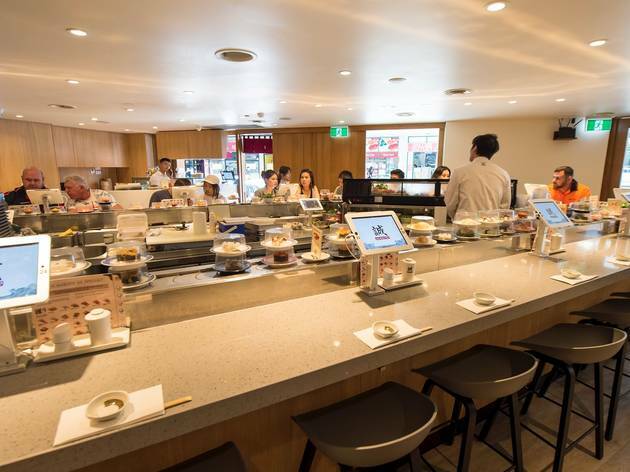 You can expect a crammed counter during the lunch rush. 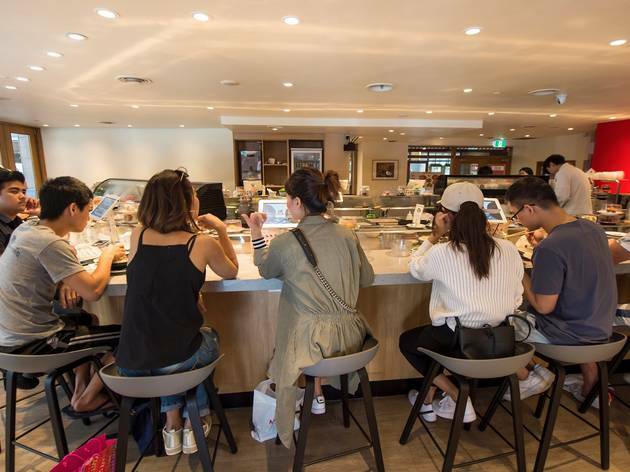 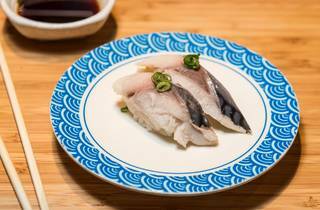 Dishes range from $3 to $7.80, but most can be had for $5 or less, with special dishes (think abalone-salad ships) occupying pricier plates. 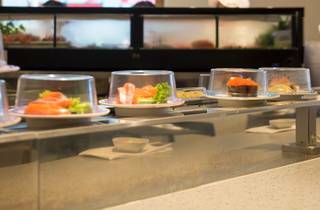 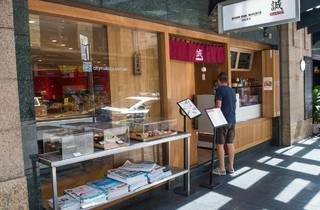 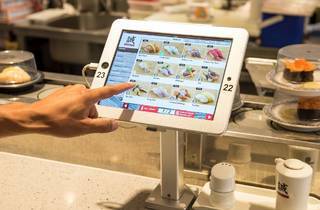 Flavours are clean and options are plentiful and authentic on a conveyor belt stacked with fresh dishes, so a meal can be had in mere minutes for under $25.